Danville, Va. (16 August 2018) – Coming away from an up-and-down weekend at Road America, Kelly-Moss Road and Race (KMR) is looking for better results when it takes on Virginia International Raceway’s scenic 3.27-mile layout this weekend. Danville, Va. (16 August 2018) – Coming away from an up-and-down weekend at Road America, Kelly–Moss Road and Race (KMR) is looking for better results when it takes on Virginia International Raceway’s scenic 3.27-mile layout this weekend. With a strong roster of drivers, the team will stage a four-car campaign in the IMSA Porsche GT3 Cup Challenge USA by Yokohama during the Michelin GT Challenge on August 17-19. The series will compete on Saturday and Sunday as part of the weekend headlined by the GT Le Mans and GT Daytona classes of the IMSA WeatherTech SportsCar Championship. The twin 45-minute sprints will serve as Rounds 11 and 12 of the 16-race 2018 season. Roman De Angelis leads Kelly–Moss Road and Race’s three-car entry in the Platinum Cup Class, which showcases the latest-generation 2017-18 Porsche GT3 Cup cars. Driving the No. 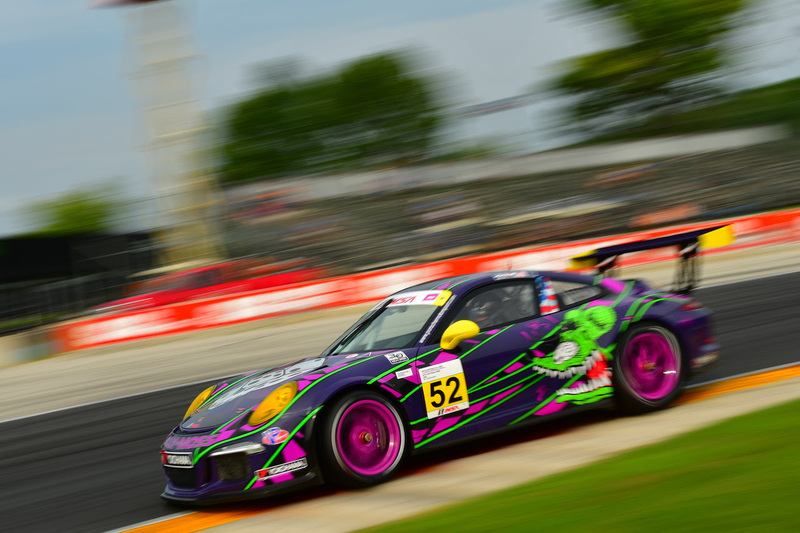 1 Porsche sponsored by Racing for Children’s MTP and Fortis Porsche, the 17-year-old who resident of Belle River, Ontario finished fourth in both races at Road America. A two-time winner and six-time podium finisher in 2018, De Angelis is second in the standings as he looks to reduce his 17 point gap to the leader. 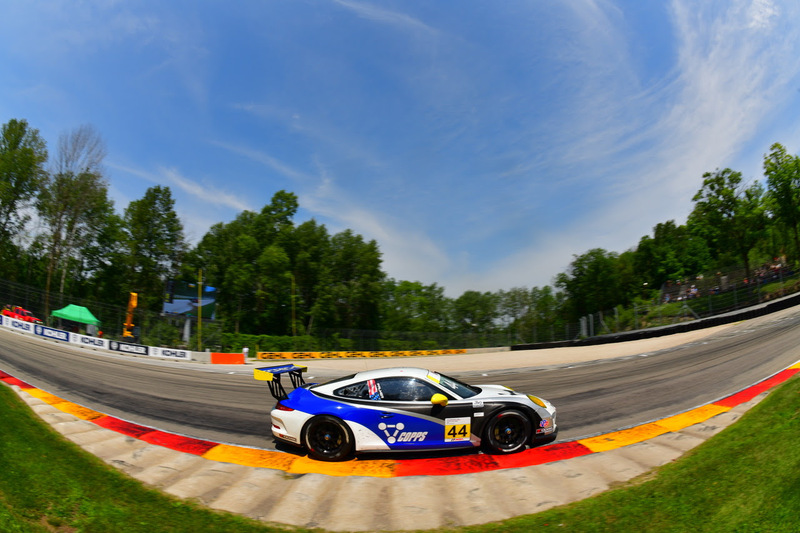 Alan Metni of Austin, Texas finished second in the closing race at Road America after taking eighth following a right-front suspension problem in the opening round. A two-time Platinum Masters winner this season driving the No. 99 iFly AM Motorsports Porsche, he is second in the standings, trailing leader Charlie Luck by 17 points (311-294). KMR will also have two Porsches in the Gold Cup class for cars from model years 2014-16. Wisconsin driver Greg Palmer is in the No. 44 Porsche, while Kurt Fazekas of Indianapolis pilots the No. 52 in pursuit of another victory. 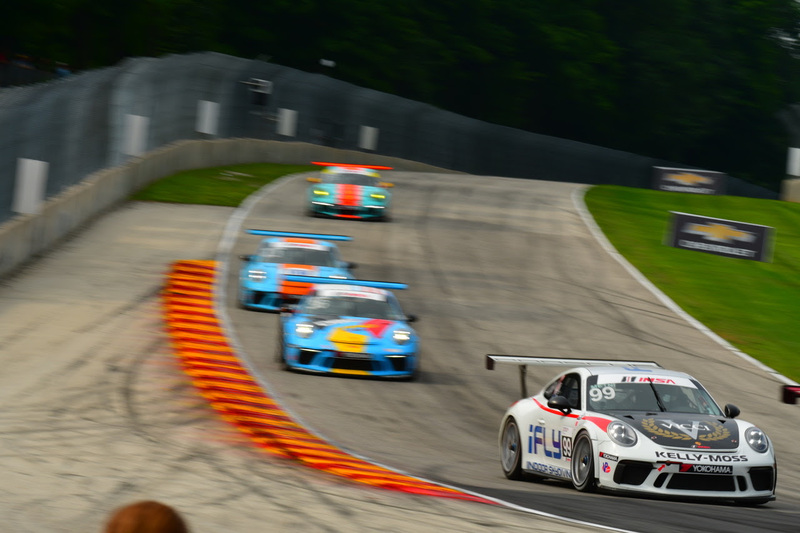 After winning the opening round at Road America, Fazekas saw his streak of seven consecutive podium finishes end when he was forced to take evasive action on Lap 1 during the second race. That affected the car’s handling, but he soldiered on to finish seventh. He remains second in the standings, trailing leader Victor Gomez IV by 17 points, 327-310. Palmer finished fourth in the second race at Road America and remains fifth in the standings with 257 points. Kelly–Moss Road and Race is second in both the Platinum and Gold Cup Team standings. KMR trails JDX Racing by 11 points in Platinum, 317-306, and is 14 counters behind NGT Motorsport in Gold Cup, 335-321. The VIR weekend opens with a pair of practice sessions on Friday at 8 a.m. (30 minutes) and 1:15 p.m. (45 minutes), all times ET. Saturday begins with a 15-minute qualifying session at 8 a.m., followed by Race 1, a 45-minute event beginning at 11:20 a.m. Race 2 will be Sunday at 9:15 a.m., and will also be 45 minutes in duration. The races will be broadcast live on IMSA.tv.